The Haverland TE700E 'ladder style' electric towel rail is not only functional but also an attractive and cost-effective feature in any modern or period-style bathroom. 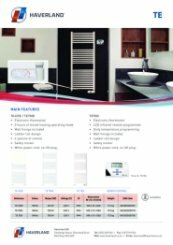 Beautifully designed electric towels rails that dry your towels and heat your bathroom simultaneously. 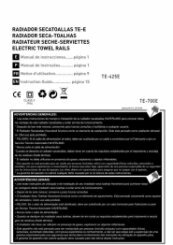 Haverland TE700E electric towel rails provide heating across the entire surface area, maximizing towel drying and energy efficiency. 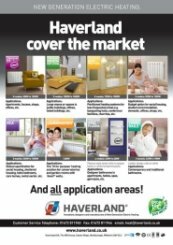 If you are looking for something special in your bathroom then look no further than the Haverland electric towel rail.